It’s 5:30 PM and I’m relaxing with a well-earned rum and Coke in my storeroom-turned-cabin, chillin’ and waiting to go down to dinner in the Officer’s Dining Room. So I thought I’d tell you a bit about my 12 hours back home in Panama, after being gone for over 60 days, a tantalizing little taste of home . 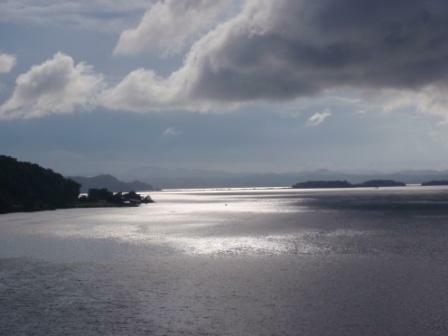 . . before sailing off into the sunset heading for Acapulco, Manzanillo and Los Angeles. 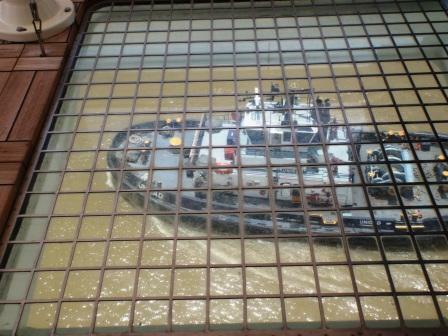 This was my day in the Panama Canal. 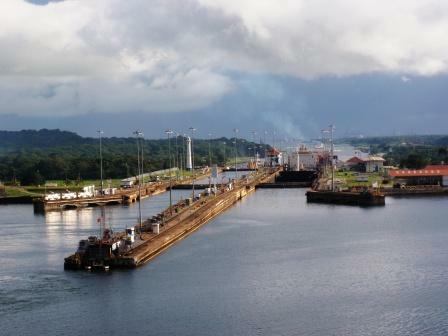 Often I don’t sleep well the night before the Panama Canal: I’m too keyed up and excited. But last night I went to bed early, slept soundly and was awake at 4 am. I could tell we were hardly moving so knew we had successfully arrived on station to meet the pilot at 5 am. Turned on the TV, my “window” to the world, and could tell by the lights in the distance that we were coming up on Colon. Quick shower, grabbed by notes, stopped in the Horizon Court for a cup of coffee and a bran muffin and then headed to the bridge, which would be “home” for the next 10.5 hours. When I walked on the bridge at 4:40 am it was still dark outside and the bridge was totally dark, so it takes a while to get used to the darkness and find your way around. I got set up in my corner, turned on the PA system and noticed we were already passing through the breakwater. Things were moving faster than I was used to. I was surprised that there were so few ships anchored out waiting for a slot to go through the Canal and even more surprised to discover that there were only 37 transits slotted for the day instead of the 40 the Canal can handle. Evidence of the new financial reality in the world. Two years ago there would be almost 50 ships setting out in Limon Bay waiting for a chance to get through the Canal, particularly now when everyone was rushing to get their junk to Wal Mart in time for Christmas. Of course I hear that the big box store are already playing Christmas carols and its only August.. So at 5 AM I started talking our way through the Canal . . . and finished 10.5 hours later, talking on and off about the Canal, its history, what was happening and what folks were seeing. To give the narration was a new experience for me. I had worked hard to put together a narrative that, hopefully, would be informative, interesting, and once in a while cute and funny . . . all without being just plain boring. 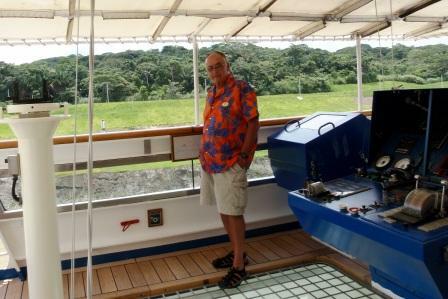 In the past ships have always used local commentators provided through the Panama Canal Authority for about $475 a pop. It’s not that the price was so much, but some were great, and some were . . . boring and downright terrible and seemed to have come on board only for the food. So we’ll see tonight and tomorrow how the guest reviews go. About the food . . .
About 6 AM the food arrived. The bridge eats well. Coffee, tea, juice, Egg McMuffin sandwiches, or Princess’ version thereof, and every kind of sweet roll we make onboard. With the sunlight came a new revelation. There was stuff on the carpet all over the bridge. At first maybe I thought a window had broken and hadn’t been cleaned up, but then it looked almost like crystals. I picked some up, and having lived in snow country much of my life was certain it looked like . . . yes, it was . . . rock salt. So I asked one of the “deckies”, “What is this stuff?” And he confirmed that it was rock salt. My next question, “Why?” And he kind of rolled his eyes and looked toward the Captain, and the Captain told me that it was to insure good luck as we sailed through the Canal. The transit was smooth, beautiful, with only a brief spatter of rain, just to confirm my usual guarantee that it will rain sometime when we are in the Canal. Thank you Lord for the rain drops! Things moved quickly and the guests seemed to enjoy every moment. Lunch on the bridge was one of the best lunches I’ve had on board. Those guys know how to live! We had Italian steak sandwiches, pizza, antipasto, and I think the best pasta I have ever had . . . perfectly cooked al’dente the way I like it. And for desert . . . a gigantic tray of fancy pastries including tons of strawberries dipped in white and dark chocolate. I really should have left a few for the Captain, but damn, they were good. 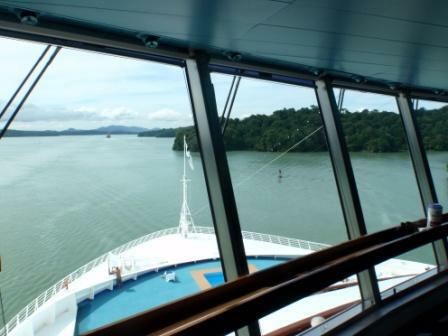 There are three places where the ship’s photographers are off the boat and take pictures of the guests on the deck and on their balconies, and there are three places where the Panama Canal has Web cams [www.PanCanal.com]. So everyone had decorations, and New Zealand and Australian flags [most of our guests on DAWN PRINCESS are Aussies and Kiwis since the ship is based in Sydney]. 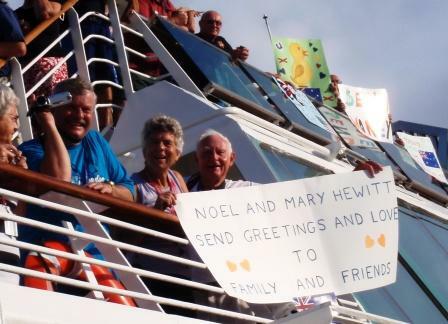 They had prepared all kinds of decorations and banners and signs greeting the folks back home and saying things like “Send money!”,“We are spending our kid’s inheritances” and even a few messages in Maori. 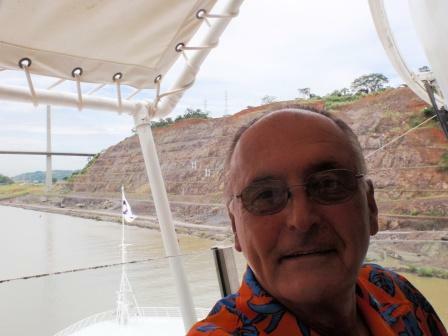 But it was a lot of fun, particularly when we were in Miraflores Locks going by the Miraflores Visitor Center which was packed with people. Our guys were shouting, like good Australians . . . “Oi, Oi, Oi” or something like that. I really don’t understand it, or what it means, but they love doing it. Our guys were waving and cheering, and the folks at Miraflores Visitor Center were waving and cheering and it was all great fun. When we finally . . . finally! . . . sailed past Amador out into the Pacific I was able to “turn off” after 10.5 hours and go out on the crew deck, on the foredeck, and all alone sit in the spa and watch the boobies fly along with the ship. It was wonderful. Dusk. 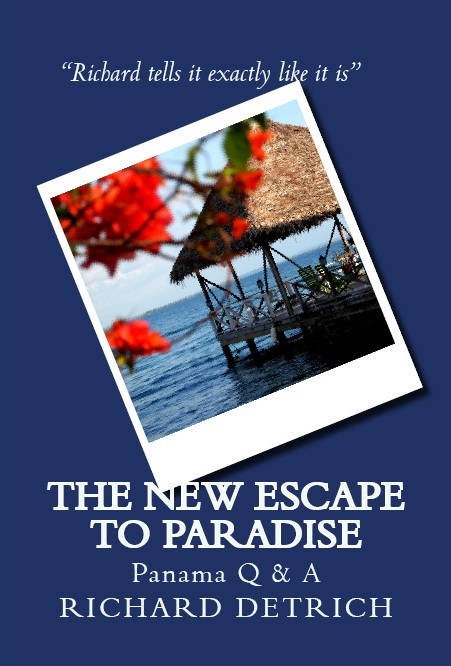 The Pearl Islands, quiet, hot hot tub, nobody . . . heavenly. 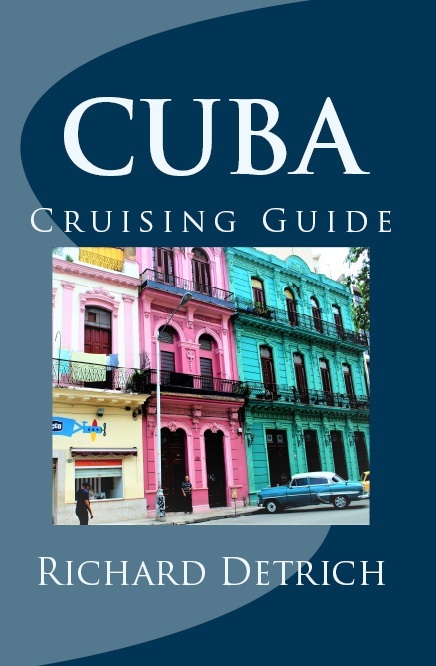 It was tough not jumping overboard when we passed under the Bridge of the Americas knowing the Palmira was only 6 hours away, but I stayed with the ship and with the program. Tomorrow I think I have another lecture . . . but I’m going to have another rum and Coke . . . heavy on the rum since I don’t have any throat lozenges, but that’s OK because the rum tastes better . . . then go down for dinner in the Officer’s Dining Room . . . they serve free wine with dinner, granted it’s box wine which we always affectionately called Chateau Crew on ROYAL PRINCESS, but it works. When I get back, if I can still read, I will check the “Princess Patter” (cute, huh) and find out what I’m doing tomorrow and somehow I will be ready. 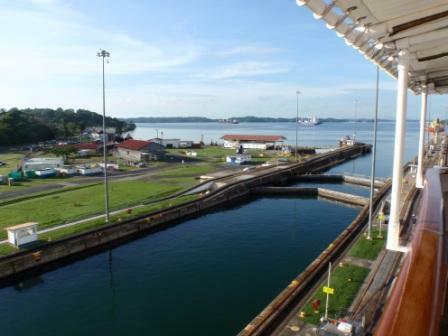 This entry was posted in cruising, Panama Canal by Richard Detrich. Bookmark the permalink.